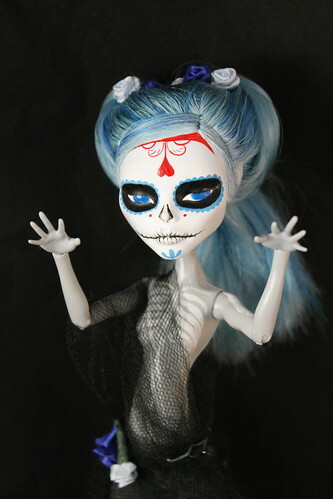 I still haven’t figured out a name for her just yet, so she is just Dia de Muertos Ghoulia ^^; I’m kind of hoping she remains my one and only Monster High custom doll but well who am I kidding? 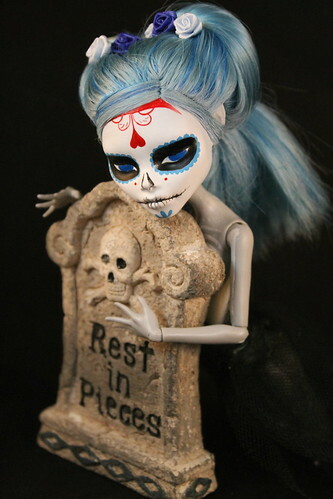 I already have a custom Lagoona too ^^;. 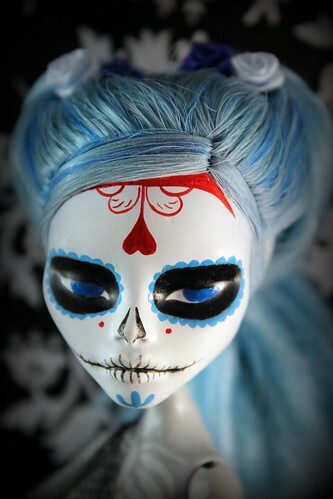 Close up of her face, the way the lips are done is what absolutely killed my resistance they are just so perfect. The way her hair is done reminds me a bit of Dracula in the old movies it really adds to her unearthliness. I like her shroud a lot it allows her to keep some modesty and saves me from trying to find something that would work with her face up. Boo! I love her painted on ribcage. 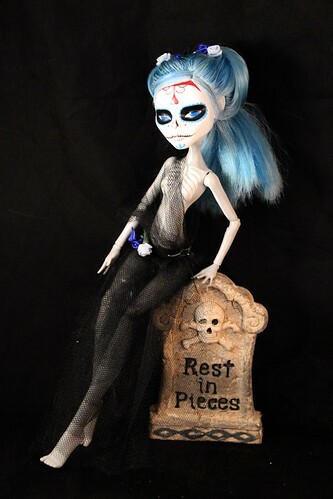 This entry was posted in 2011- 365 Toy Project, Doll and tagged custom, custom monster high, ghoulia, monster high. Bookmark the permalink. Saw your blog linked on MLPArena so I thought I’d take a look. 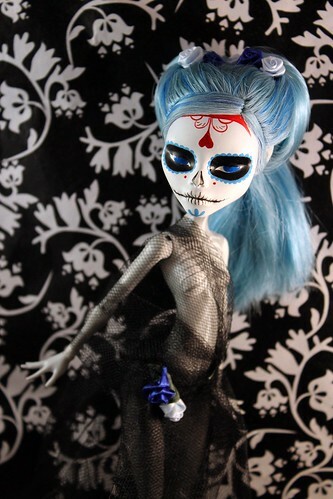 Woo really nice mod of lagoona blue.